The sale of a work by Andrew Squire has raised £2,100 for World Land Trust (WLT) at an auction organised by Stafford Gallery. 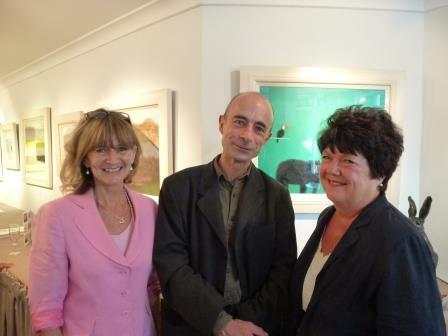 The auction of the painting Spectacled Bear took place during the private view of an exhibition of Andrew’s recent work curated by Stafford Gallery in association with Wimbledon Fine Art on 21 September 2014. Director of Wimbledon Fine Art, Andrew Stoppani, introduced Master of Ceremonies, TV and Radio personality David Hamilton who thanked the artist for donating the painting and confirmed that the galleries and framer had waived their fees so that World Land Trust would benefit from all monies raised. Before the painting went under the hammer, Wimbledon resident Ana Contreras spoke about the mission of World Land Trust. Having worked with the Trust’s Colombian conservation partner, Fundación ProAves, Ana shared her personal experiences of the reserves that ProAves has been able to initiate with funding from WLT. She described how she had the opportunity to help create Las Tangaras bird reserve, some 7,000 acres (2,830 hectares) of tropical forest in the Chocó department of Colombia, one of the world’s biodiversity hotspots. 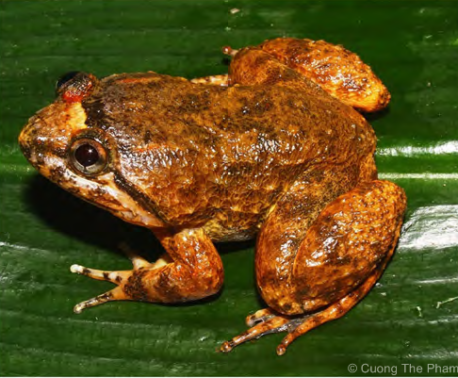 The reserve shelters several species of birds and frogs in danger of extinction but, as Ana explained, its unique flora and fauna need constant protection from the threats of deforestation, gold mining, hunting and illegal trafficking. Ana had also had her own encounter with a Spectacled Bear: “I had the good fortune to see a male Spectacled Bear in the Colibri del Sol Reserve in Colombia. 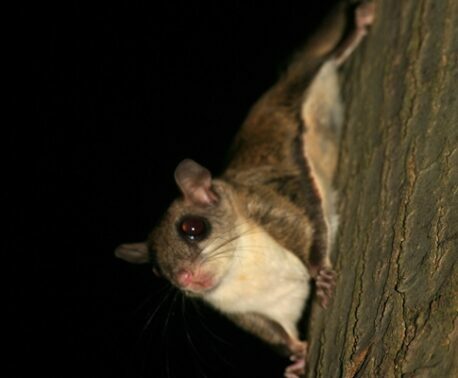 Normally a shy species, he just looked at me and carried on eating, knowing that he was safe,” she said. Andrew Squire’s Spectacled Bear, oil on board, 24 x 20 inches. Spectacled Bear and other works in the current exhibition reflects Andrew’s move towards more abstract art. “I am using minimalist imagery to express the diversity and complexity of the environment and ecosystem, ranging from the morphology to the minutiae,” he said. Instantly recognisable, a Spectacled Bear recorded by a ranger in Antisanilla, Ecuador. © Fundación Jocotoco. WLT protects habitat for Spectacled Bears in Colombia and Ecuador. Pictured (right) is a recent image of a Spectacled Bear in Antisanilla. The photograph was taken by a ranger working for Fundación Jocotoco, one of WLT’s conservation partners in Ecuador. You can help World Land Trust purchase and protect more habitat for Spectacled Bears in Colombia and Ecuador by making a donation to Buy an Acre. Please help us save real acres, in real places.